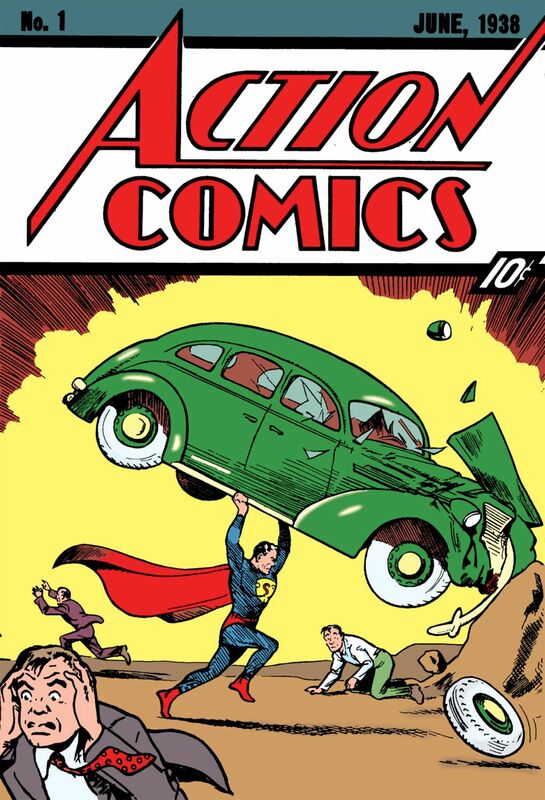 Remember back in 1938 when Superman flew onto the scene in a big way on the cover of Action Comics #1? 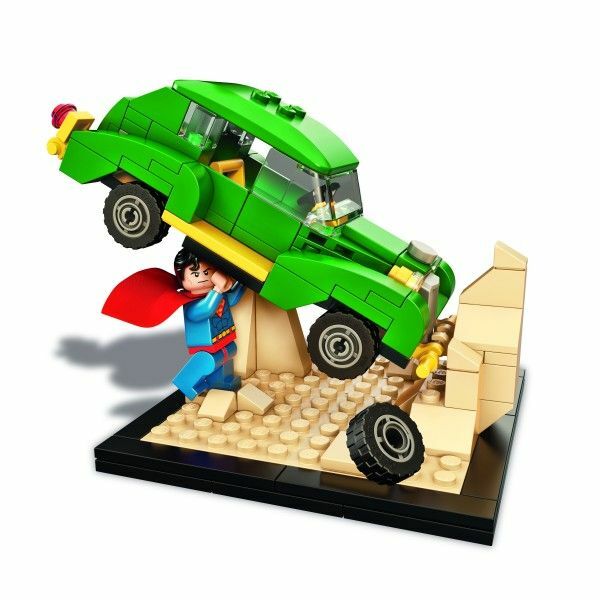 Well LEGO does, and we’ve got the exclusive first look at their upcoming San Diego Comic-Con set that pays homage to it. 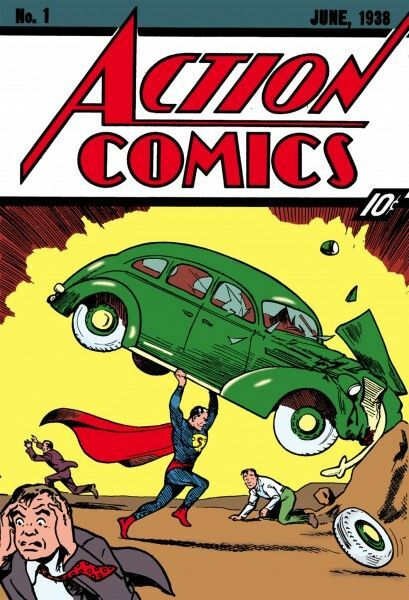 In LEGO’S DC Comics Super Heroes set, available only at Comic-Con 2015, LEGO recreates Joe Shuster’s iconic artwork for Superman’s introductory comicbook cover in which he lifts a green sedan over his head as easily as you or I might victoriously hoist a Comic-Con swag bag. 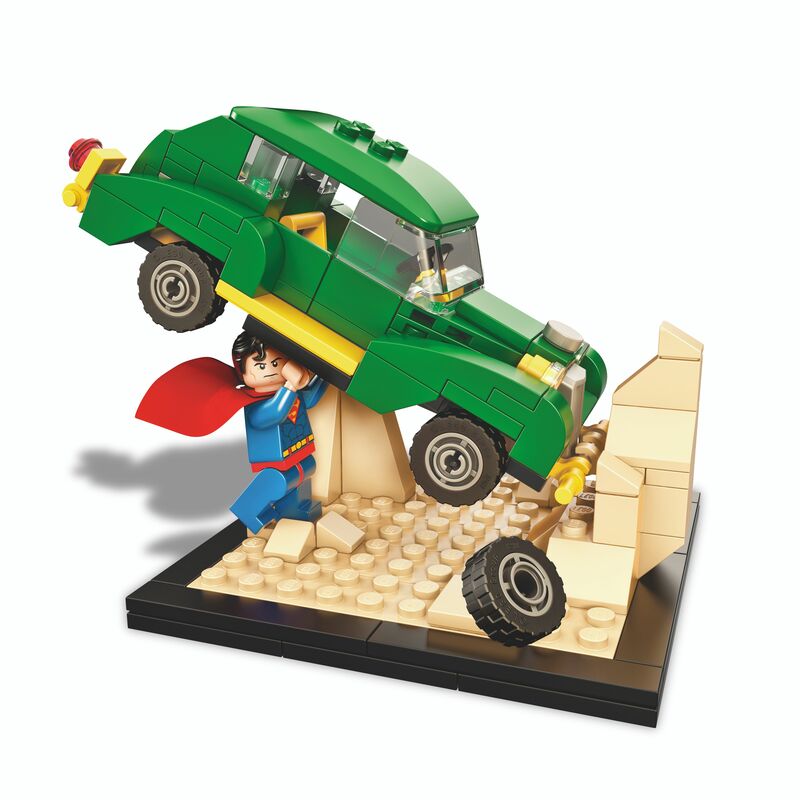 Fans who can’t attend Comic-Con can follow @LEGO_Group for chances to win the set throughout the course of the event. You must first enter the drawing by picking up a ticket (see below) and then attendees go to the LEGO booth to redeem their ticket if they have a winning ticket and purchase the set at the LEGO booth. The LEGO booth will be located in Hall D, booth #2829. Location includes multiple stairs. ADA attendees with mobility issues should go to the lobby B doors and use the glass elevators for access to the Sails Pavilion. They will be let up to the Sails Pavilion at the same time as the rest of the attendees. Finally, if you missed the cool LEGO Star Wars Dagobah set that is also available at Comic-Con, click here to check it out. Here’s all our previous LEGO coverage.